Then I thought, “what would a café racer from the 1920s look like?” Whether it be a real custom with a bike from that era as a starting point, or maybe the product of some parallel steam-punk universe where café racers somehow kicked off in the 20s rather than the 50s, it would surely be an amazing combination. 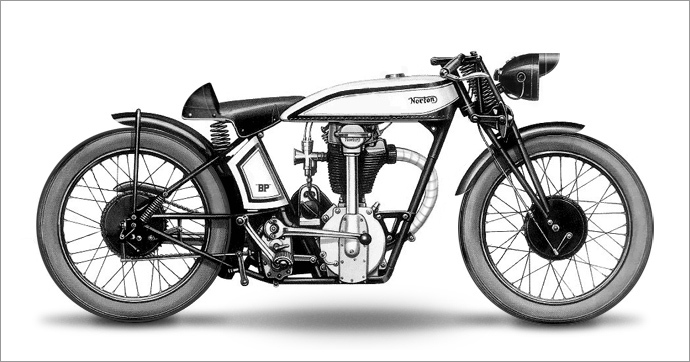 So, armed with the above 1929 Norton 500 Single “Flat Tank” image, I cranked up Photoshop and pushed some pixels. First, remove the excess parts to save weight. No need for clip-ons; the bars are already pretty low. Ditto with the ride height. 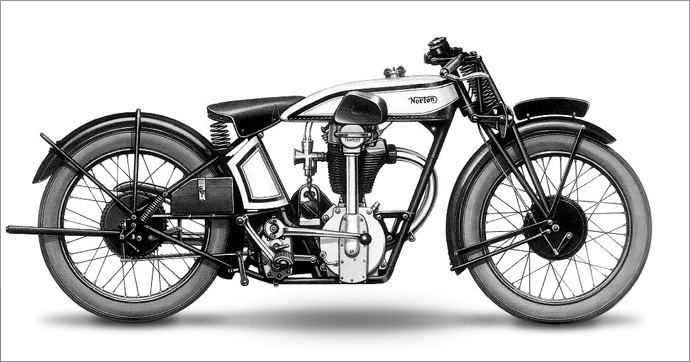 Add a headlight (an option in the 1920s, I think), trim the mudguards, and wrap the exhaust in tape. Finally, my take on a sprung saddle-meets-café-racer humped seat. Patent pending.